Everyone has a story to tell when it comes to experiences with the other side. Mine only seem to be recent, but the experiences that I had got me thinking. What would it be like to actually see a spirit? I hear about these stories all of the time from podcasters but I had never actually reached out to a community and asked what it was like to have the experience or ability to gaze beyond the dark veil, even for an instant. Join me as I share some stories as told by friends I have met through an amazing paranormal group. Remember dear readers, keep an open mind, be respectful, and try not to be frightened of the sound of your house settling after reading these stories. For privacy purposes, I have only included the initials of our storytellers. When I was a kid I was often visited by a woman. She was old and wore all black except for her neck which had a white collar. She would come in and her steps never made a sound, she would sit in a chair at the end of my bed and take a book off the bookshelf nearby, and read to me. But her voice didn’t really make a sound it was more like it was in my head. Years later I was old enough to actually read some of those books (Treasure Island, Peter Pan, etc. ), what I found was that I already knew most of the story as if I heard them before, that’s how I know I didn’t just imagine the whole thing. I was never scared of her, I was actually comforted by her. It was nice. Having a nice experience is always a comforting one, but there are some experiences that can easily leave us frightened and questioning the reality around us. I am a paranormal investigator. I own Lightstar Paranormal Investigations and the first time I saw a ghost was at a heritage house in Hamilton Ontario Canada. While this story was short and sweet, our friend T.J. was kind enough to leave us a photo from her experience. We see it. Do you? My experience was just like seeing another living person. I was a significant distance away from it when I saw it, however. I was conducting desert tortoise surveys in the Mojave desert with a small crew of other biologists. Each of us was walking separate transects in concentric circles spaced 200 meters apart. I was nearing the end of mine and my coworker was nearing the end of his, both heading to the same endpoint but from different directions (I was heading south, he was heading north). I watched him with what appeared to be another person walking by his side. I stopped briefly and looked at both of them through my binoculars and viewed them with my naked eyes for probably up to 5-10 minutes. It looked just like another person walking next to my coworker. When we finally met up (he was resting in the shade of my vehicle when I got there), I asked him who the other person was (I assumed it was one of my other coworkers). He said there was no other person and didn’t know what I was talking about. I told him I watched him and the other person approaching the end of the transect for up to 10 minutes from a distance. He thought I was crazy. We had seen some old homesteads, grave sites and a spot on top of a hill where it appeared that someone had spread someone’s ashes earlier that day. My other coworkers eventually joined us when they each finished their respective transects. It was NOT heated exhaustion and I was NOT seeing things that weren’t there. 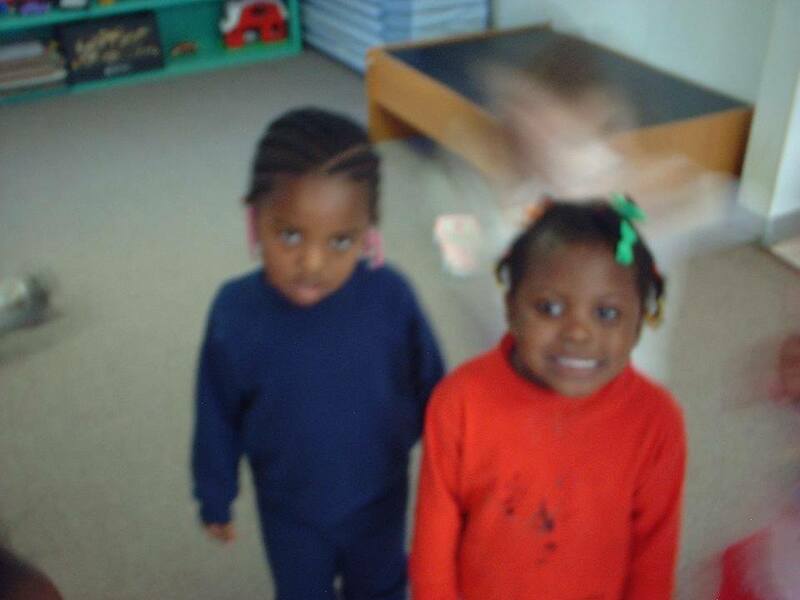 The only explanation I have is that it was a ghost. This was about 5 years ago and it still totally boggles my mind. 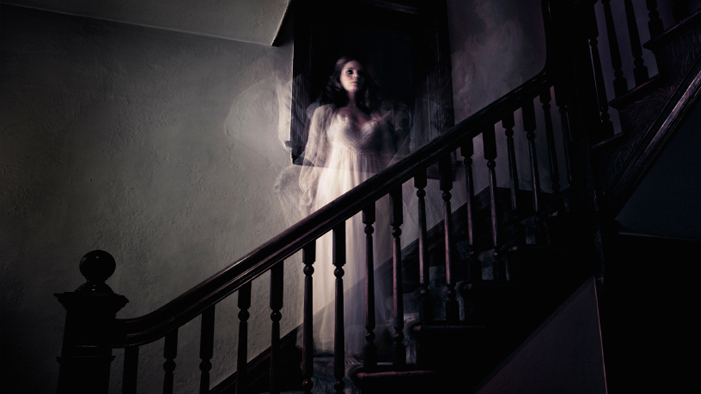 I’ve had other paranormal experiences both as a child (my grandmother visited me in my bedroom the night she died) and as an adult (hearing things, chills, etc. at other known haunted locations) but this was my most profound experience. Most are just movement out of the corner of my eye. When you turn to look, you can not see it. Other times parts of a spirit or a translucent spirit. Thank God I have never seen a spirit in full form, but that is also another form of spirit. It depends on the spirit and how much energy they have. I find they drain batteries and for some reason kill my light bulbs too. 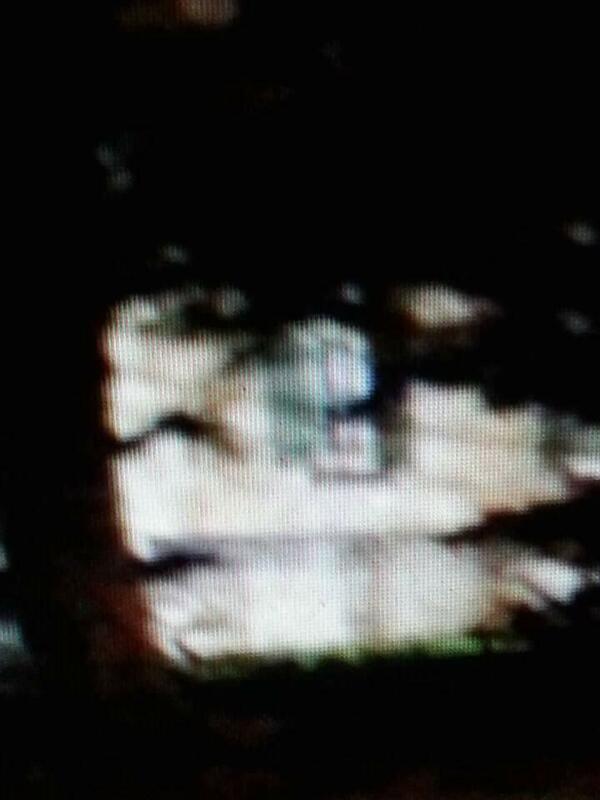 Mr. W. was also nice enough to share this paranormal photo with Metroplague. Here’s the description he left. The night was as quiet as they come. Stillness was awake. So quiet, you can hear your own breath. The first floor of the apartment was nice and spacious. When you first enter the apartment through the front, you will be located on the right side of the home. Upon entering you are in the living room, and if you walk about 10 feet forward it is the first bedroom. Take a small left 2 feet away from the first bedroom and walk 10 feet forward. That’s the second bedroom, if you turn your head to the right. Standing there you are now in the dining room facing the kitchen entrance. From the kitchen entrance you are able to see through the dining room and have a full view of the living room but your eyes will be focused on the comfortable grey sofa placed on the opposite side of the living room from the first bedroom. That’s where I sleep sometimes when I get tired after watching a movie or something. Usually I get up and go to my mom’s room in the second room located at the dining room. This night I got up in the middle of the night like I usually do. I awaken and get off the sofa. Before I could make way towards anything, I see something I’ve never seen. Lit with the plasma-like figure of a man. If I had to take a guess, it was an elderly man in his later 70’s. The figure was bright white, similar to the color of milk. He seemed to be transparent and his edges may have been a little blurry. The spectral figure had his hand on my mother’s rice cooker in the kitchen that was resting on a table against the right side of the wall. When he sees me, he turns his head to me. Although he looked like a being of light, he did not light up the room. I turned back to my sofa and hid under the blanket! I held tight and tried to scream but nothing was coming out!! Silence was in the air. My fear immobilized my mouth! No sound could escape my mouth! Feeling hopeless, I closed my eyes tight, and held onto the blanket as tight as possible. A warm sensation met me. I wet the sofa. I was so frightened I peed myself! Thinking back, he was probably harmless. Just wondering why he showed himself to me. Fast forward to 2014. My oldest brother has a wife. We are talking about ghost stories and what we saw as a kid. My brother remarks he saw the same thing I saw. Same details! He was sleeping and got up to see the spectral figure of white in the kitchen with his hand on the rice cooker. Sorry to Wake You, Mum-D.R. My parents live in an old house built in 1890 and always have odd things happen now and then but nothing major. Heard footsteps, things appearing that they didn’t put there. Just sort of little things. So one night when I still lived there I was up late and it was about 1am. Everyone else was asleep. I went to the loo before I was going to bed and I just walked along the landing to the bathroom in the dark. Did my business in the bathroom and I was leaving at the other of the landing I saw a women in a white night dress. Now as this was about 20ft across a dark landing I could tell it was a women but couldn’t make out any features and so my first reaction was that it was my mum. I said “sorry did I wake you going to the loo” the woman just walked into the spare room without saying a word. I thought that’s just bizarre and maybe I had annoyed her that much by waking her up but it didn’t feel right. So I just went back my room and went to sleep. The next day I apologised again for waking her up and she goes “I never woke up in the night I slept through”….. I said “ but you were on the landing I spoke to you?” And she said “no I never left the bedroom”. To this day we have no explanation for that. We’ve found a women’s hair grips around the house and my mum doesn’t use them. Footsteps on the landing when no one else has been in the house and the lights on the landing have flickered sometimes when none of the others in the house do yet they are on the same circuit. It never feels threatening or dark and we’re all fine with living here. My Godmother Lena was always able to see things that weren’t there. Sure, some people believed her and others laughed it off. However, one night when we were all together at her house in San Diego, several family members witnessed something unexplainable. I was a child, so this story is being passed down to me by several family members. They were all eating at the dinner table that was located by the front window. The way her house was oriented, you always were able to see who was approaching the front door, but once they turned the corner to ring the bell they were out of sight. Well this one evening, a man was seen walking up the pathway towards the door. He seemed normal except for the old-timey traditional Mexican garb that he was wearing. Everyone watched him walk calmly up the drive, look at them, smile, then round the corner to get to the door. My Nina Lena got up to open the door for this gentleman, but there was no knock, and there was absolutely no man when she opened the door. Everyone at the table would have seen him leave if he was a physical being. Like I said, we all have a story to tell, and Metroplague wants to hear yours. These were selected from hundreds of responses to a question posted online, so we know that you are out there! Don’t be afraid to reach out, subscribe, or leave a comment with your personal story. Remember, down here, we won’t judge you. The reason I quit work, on a movie prodution, was because I had terrible relapses from being around spirits. It haunted me to my core. Wow! That’s crazy! May I ask what movie? !